In a move that invites both commendation and speculation, the BCCI has invited fresh applications for the post of the head coach of India’s senior men’s cricket team. Commendation for the fact that the board has decided to conduct fresh elections and give naysayers a reason to stay shut, even if is the incumbent Anil Kumble who is re-elected. Speculation because the deadline for application submission is merely a week from now – May 31, 2017 – whereas the last time when such a process of ‘fair and square’ elections was initiated, the board had released the notification to that effect on May 22, 2016, and the deadline for submissions was June 10 – a full fortnight plus five more days. However, whether the performances of the Indian team since Kumble took over warrant a re-election or not, and whether the 150% pay hike suggested by the country’s highest wicket-taker across Tests and ODIs had anything to do with this development is a question to be asked. 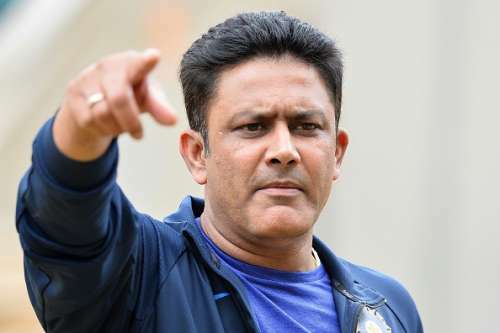 Keeping all such theories aside and focussing purely on performances of the team and the coach, here are five reasons why Kumble must go on as the India coach, at least until the 2019 World Cup. Since Kumble’s ascendance to the post, India have only lost 1 Test out of the 17 that they have played. That 13 of these were played at home cannot be used against the coach’s credentials for the manner in which India competed and recovered from precarious situations in Tests against England and Australia. India have regained the World No. 1 ranking in Tests – in October 2016 – and have held on to it for more than six months. Their captain, Virat Kohli, and one of the lynchpins of their batting lineup, Cheteshwar Pujara have racked up runs in hoards. Pujara, in particular, scored 1605 runs in the 2016-17 first-class season, the most by any Indian ever in a season, at an astounding average of 89.16 with 6 centuries. His captain now has the joint second most number of hundreds by and India Test captain (9) – ties with Mohammad Azharuddin – only behind Sunil Gavaskar’s 11 tons. Ravichandran Ashwin picked up 82 wickets this season at 25.28 from 13 Test matches and became the fastest man to reach 250 Test wickets. While all of these are individual performances, the common rope binding all of these is Kumble’s tutelage. 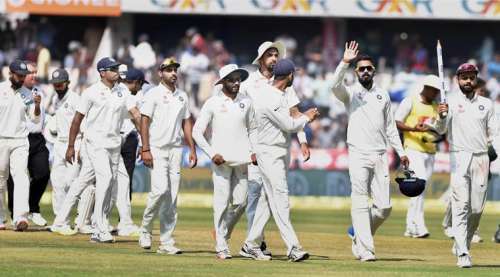 India have done as well as they ever have in any season since Kumble took over, and tinkering with a settled team could be disruptive, as far as the team’s success rate is concerned. India's XI on Yuvraj Singh's ODI debut: Where are they now?